A conditional suspended sentence means that a court imposes a jail sentence, but the sentence is not served so long as the defendant adheres to the court’s conditions. The most common condition is refraining from committing another crime. If a condition is violated, the suspended sentence is revoked and the defendant must serve the initial jail sentence. An unconditional suspended sentence does not impose any obligations on the defendant. This sentence ends the court’s involvement and the only penalty on the defendant is that the conviction becomes public record, viewable by future employers. The purpose of suspended sentences is to minimize the problem of overcrowded jails. When the crimes are less serious and are committed by first-time defendants, courts often impose suspended sentences. 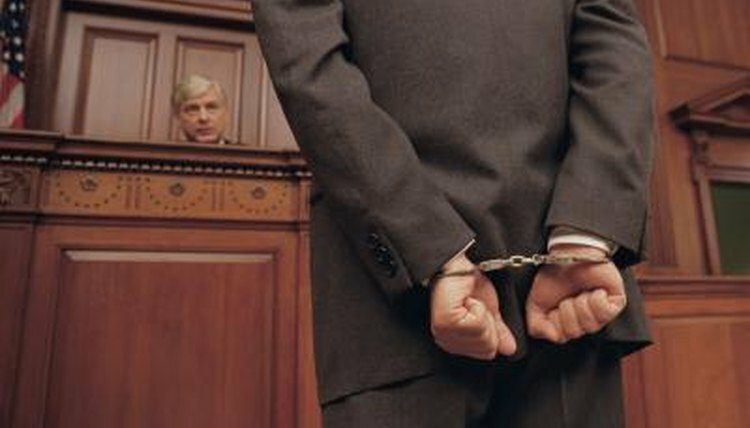 After conviction, a court can impose probation instead of a jail sentence. The court sets conditions for the probation period, which include refraining from committing crimes, following a curfew, remaining gainfully employed, attending counseling, completing community service and meeting with a probation officer as directed. A probation officer monitors a person on probation to ensure that all conditions are met. Generally, a probation officer requires a person to check in once a month. The probation officer also administers random drug tests and supervises progress in completing community service and attending counseling. A., Bernadette. "What Is the Difference Between a Suspended Sentence & Probation?" , https://legalbeagle.com/5824095-difference-between-suspended-sentence-probation.html. Accessed 24 April 2019. What Is a Motion to Revoke Parole?